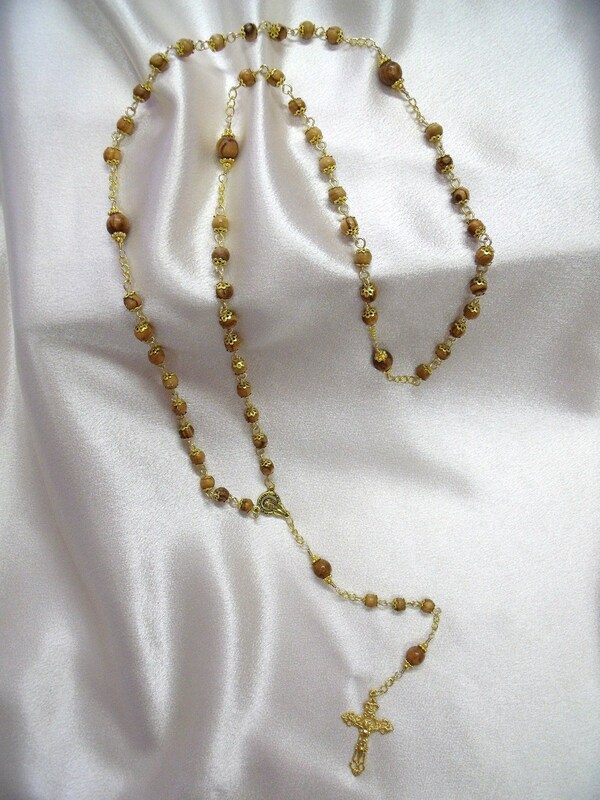 For The Man In Your Life | Nan Tubre Writes . . . 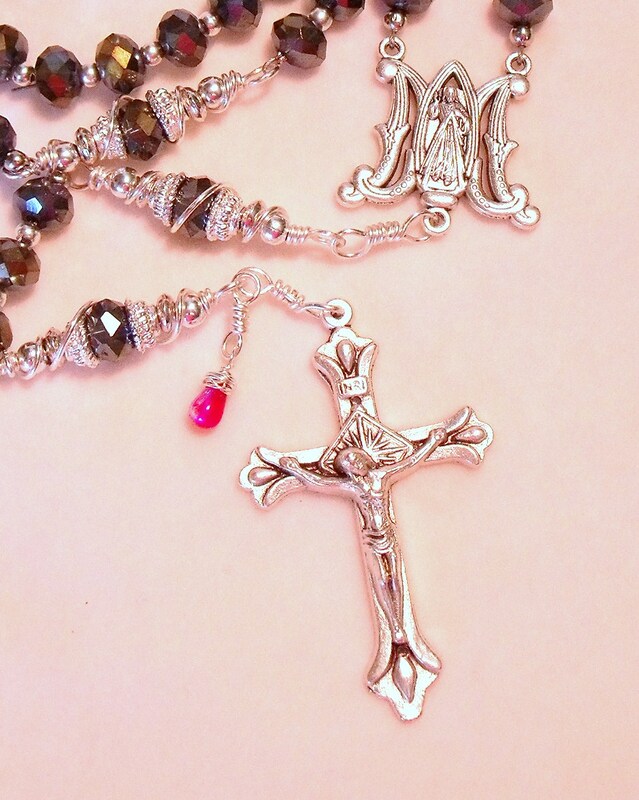 This rosary features a center dedicated to St. Hubert, the patron saint of hunters. 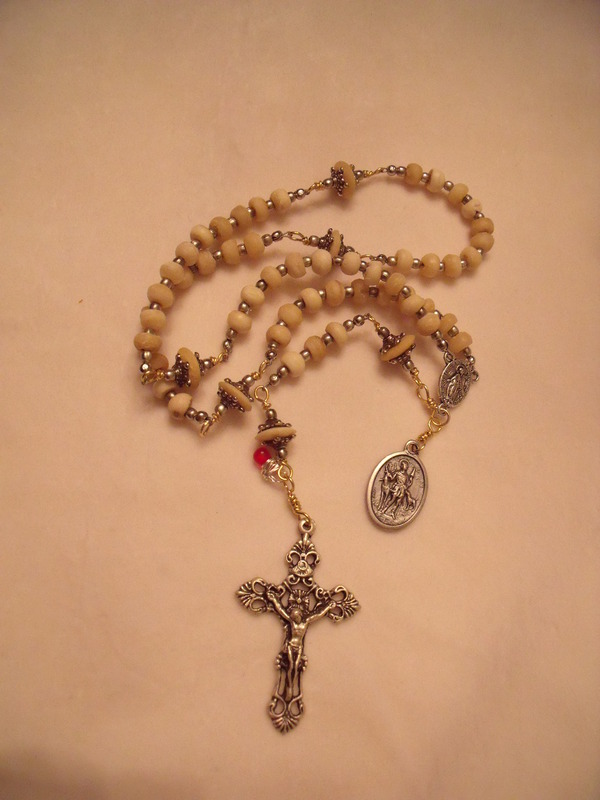 Another hunter’s rosary – this one is faux bone and features a tiny red bead signifying a drop of Jesus’ blood. Very ornate but I’m sure he would love it! 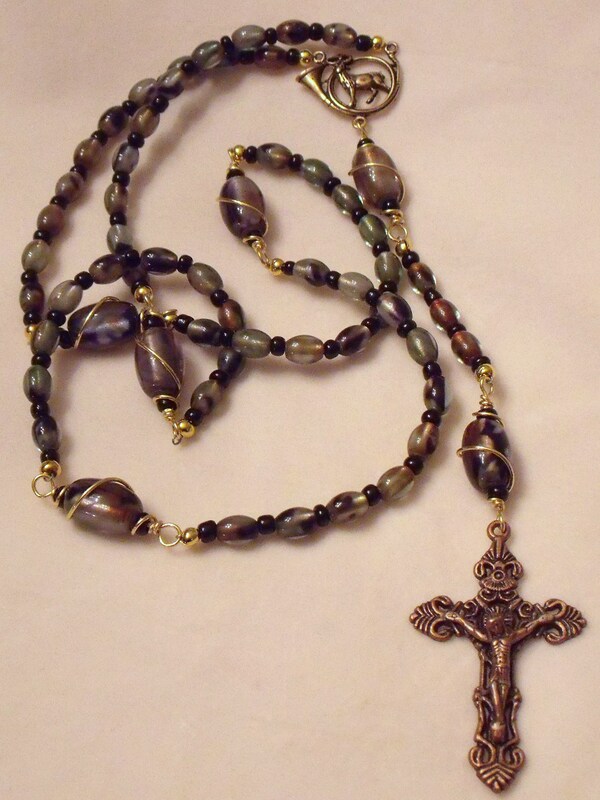 This beautiful rosary is made with olive wood beads.